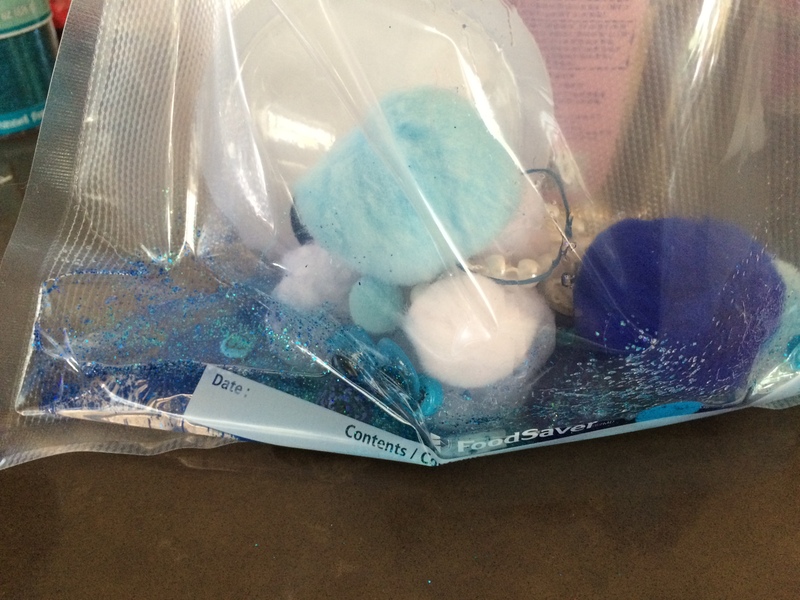 DIY Sensory Mat Tutorial – Bits Baubles Glittery Goop – Odds & Hens : Ramblings. Creations. 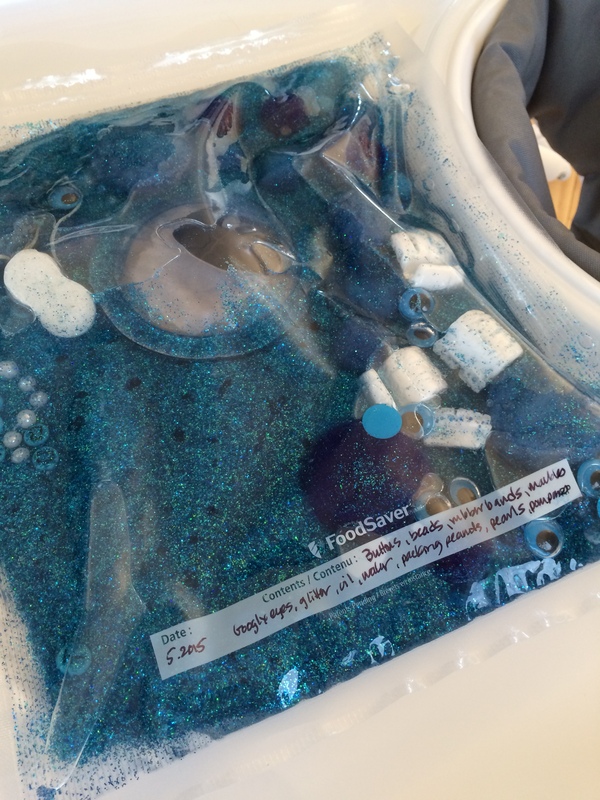 Plenty of tutorials out on the inter webs for sensory mats, so nothing too revolutionary here BUT what makes this one different is I used my food saver to seal in the gloopy glittery beautiful mess. 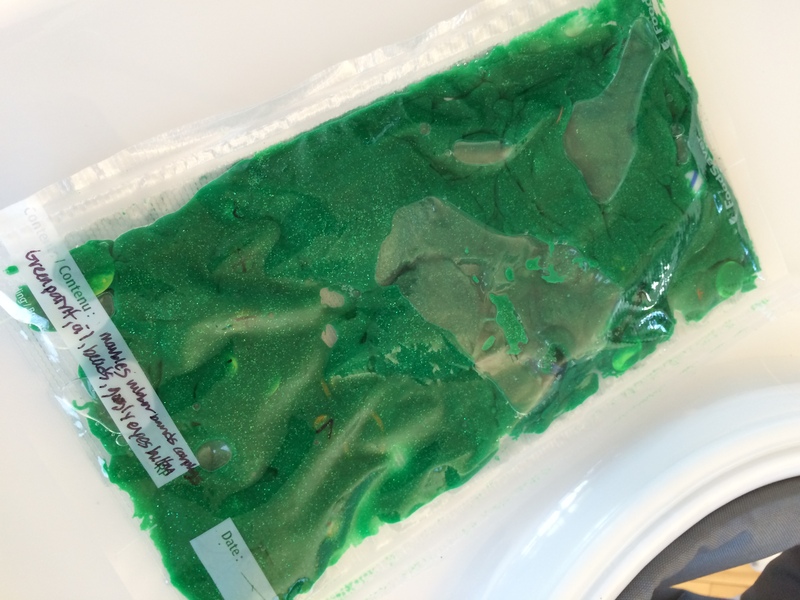 Nothing wrong with just sealing and taping a zip locking bag or ironing to seal but using the food saver allows you to make custom sizes and ensures a good seal. I still sealed two separate strips because oh lordy lordy imagine if this leaked. sky’s the limit, repurpose away! Mix together, with liquid taking up about 1/3 of the space, fold out most of the air and seal shut (two rows of seal)! I didn’t use the vacuum function just flattened/folded out most of air. Enjoy! We have to put ours up when out of the house because our dog has a tendency to be ‘offended’ by things in packages and might just rip it open. 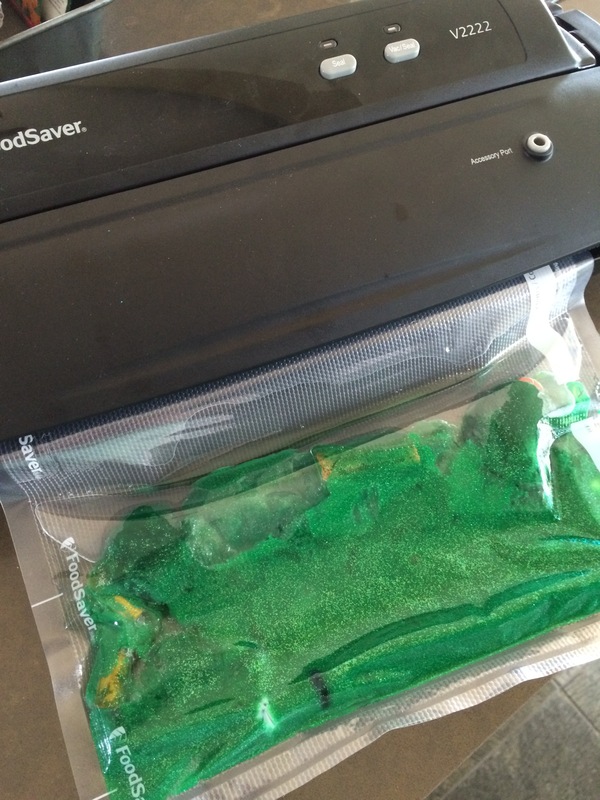 That would surpass any mess made by a leaking ziplock bag. 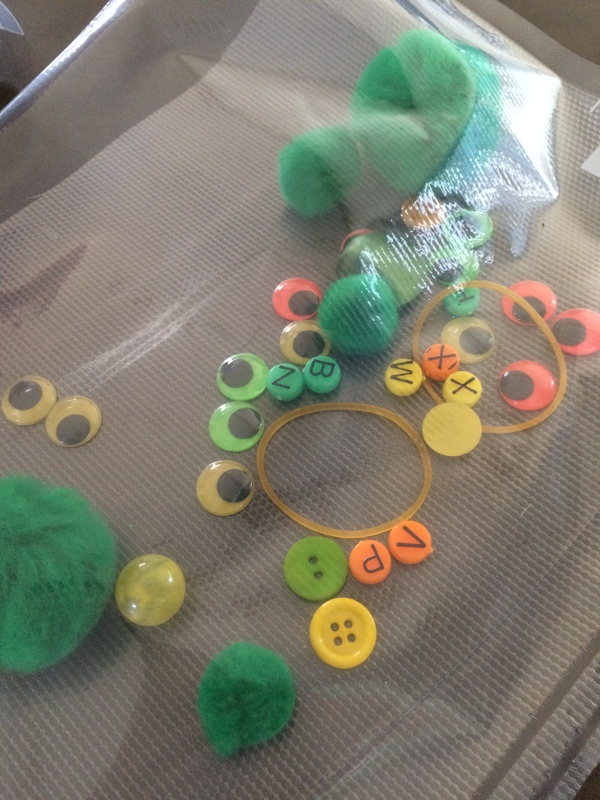 If your kiddos are old enough let them help find and make the contents of the play sensory mats. I have a little stash of plastic animals for the next go around.